Rum is in $COUNTRY_NAME produced from fresh cane juice (this type of rum is called rhum agricole) and from sugar cane molasses (rum is called rhum industriel). Both are exported, for example to France. 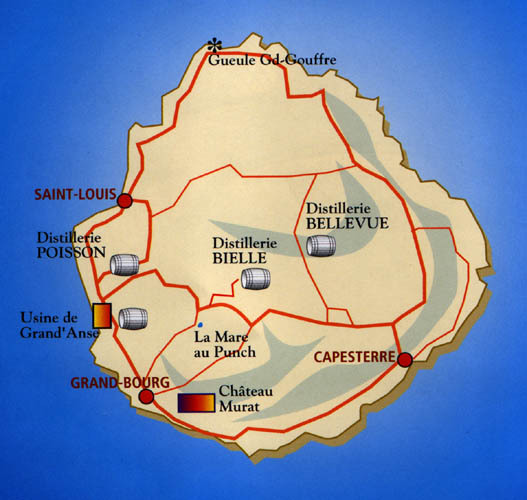 On the map are distilleries operating on Guadeloupe at 1999. 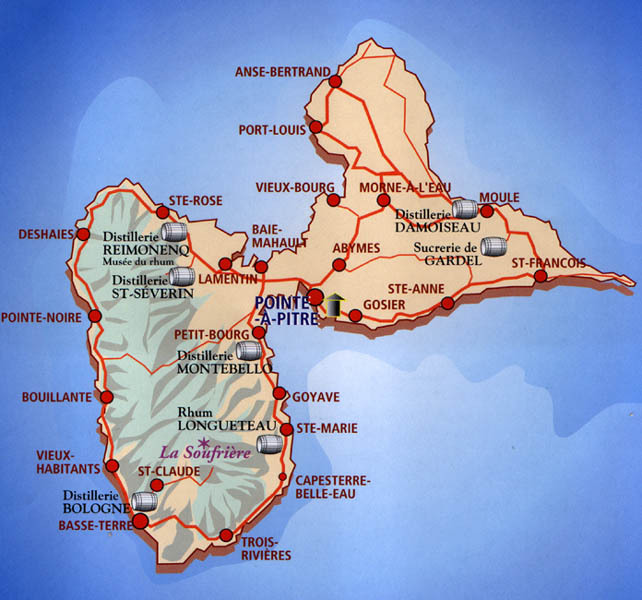 On this map are distilleries on Marie Galante. In the year 1939 was on Guadeloupe 107 distilleries (and 15 sugar factories). About in 1975 was 17 distilelries agricole (and 6 sugar factories).